This month in our Health and Welfare feature we are focusing on is Cushing’s Disease. Linda Greaves advises on various symptoms and the steps to take to improve your horse’s quality of life. 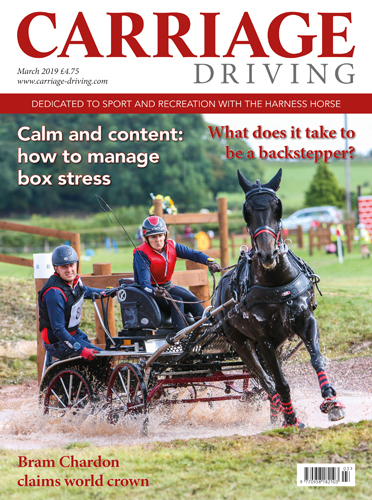 We report on an inspirational Hackney training day with Jessie Dudley-Apicella – where Jessie and her team spent the day introducing young drivers to the joys of driving a Hackney. We head to Cricklands, with Amy Mundell who reports on pre-season competition. In our Rare Breeds series, Susan Dunne looks at the Cleveland Bay. 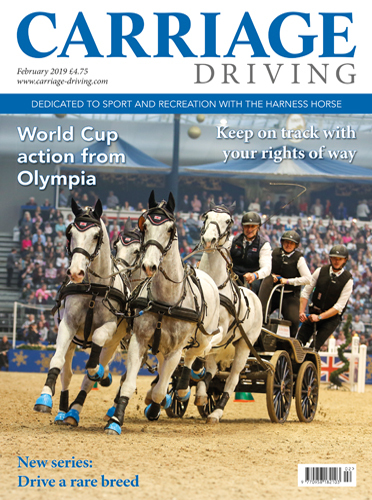 Fiona Powell has a guide for those heading to the Indoor Carriage Driving UK Championships at Keysoe, for the first time. We take a ride with the Wadworth Brewery working Shires. 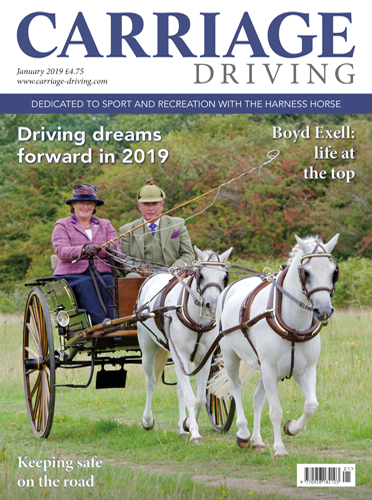 There is an international feel to this month’s issue, with reports from the USA, Australia and a spotlight on Canada which looks at driving today and the perils faced by stagecoach operators in the past. Liz Harcombe is In the Commentary Box and has a coach building Cinderalla story. 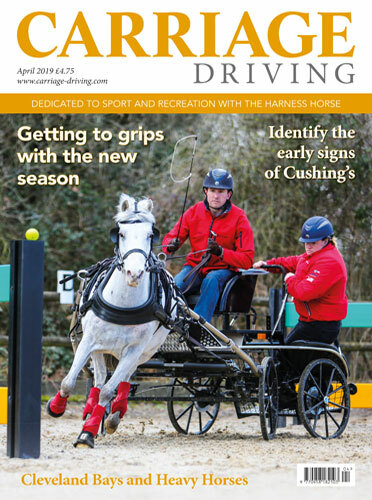 Carriage Driving is the only monthly magazine dedicated entirely to sport and recreation with the harness horse. For more than 30 years, trusted, respected and loved throughout the whole of the national and international driving community. 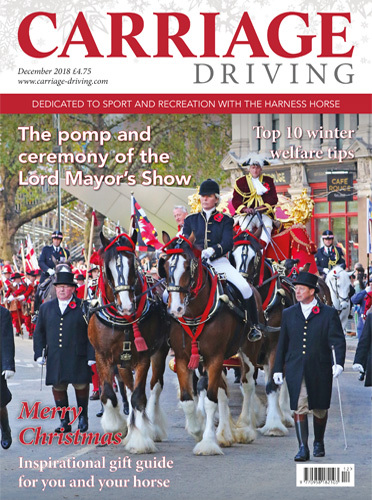 From the traditional roots of the harness horse through to the modern aspects of driving and competition we see today, Carriage Driving magazine covers all the carriage driving disciplines, with in depth articles, absorbing interviews and expert advice, as well as features on carriage driving history and its fascinating traditions.